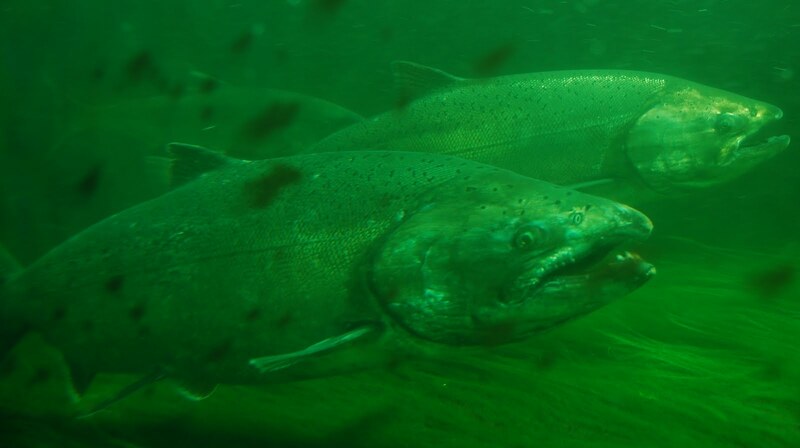 Chinook are big (3ft long) and heavy (30-40 lbs). 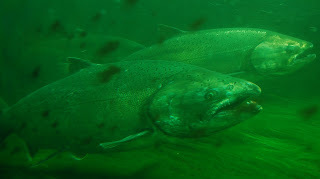 Here they traverse the Chittenden Locks, headed upstream to Lake Washington. They're transitioning from the saline marine water to the fresh water of the lake, so they take their time here to adjust.